It might not seem important, but a good night’s sleep can improve things like your memory or overall mood just to name a few things. This is just one reason why finding a good mattress is not only smart but vital. The problem is that there are many mattress options out there, and looking for the right one could get a little overwhelming. 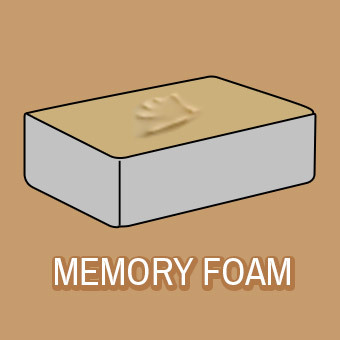 The following is a simple guide to help you find the right gel memory foam mattress. One of the advantages of gel foam mattresses is the gel itself, but you have to ensure that the mattress manufacturer took advantage of this. Gel takes surface heat and disperses it downward and away from you. This keeps you cool while you sleep, but in order to receive this benefit you need layers to ensure air flow. What you want to see is layers of foam rather than just the top layer, so make sure you ask to see these options. A Sleep hormone is released when the body feels cool, making it easier for you to sleep. A cool mattress prevents sweat, helping the mattress last longer. Comfortable sleep usually means no tossing and turning. It is important that you know what you want before you start looking for your mattress. Those who want a cushy bed, the kind that hugs you when you sleep, should definitely look for soft or plush firmness. Sleepers dealing with back pain or other body aches will need major support from your mattress. You want to try to find firm or medium gel foam mattresses. Those who want something in the middle will likely find plush firm to be perfect. It should be noted that gel foam mattress can be customized, just in case the firmness offered is not good enough. Another thing you want to pay attention to when purchasing your mattress is the thickness. The reason this matters is because it helps ensure that your mattress does not compress your body overtime. Deeper mattresses offer better compression support by distributing all the weight that is being place over it. It should be noted that this particular tip is even more important for side sleepers. These sleepers put pressure on their shoulders, hips, and other joints. All this pressure gets worse if your mattress is not thick enough, which may lead to body aches the next morning. What you want to look for is a mattress that is at least 12 inches thick though you can go thicker if you want. Most people want to sleep on clouds, and this is possible with gel memory foam mattress because of that first layer. Yes, that plushness you are dreaming about can be yours as long as you pay attention to the top layer of the mattress you are considering. You want to pay attention to how thick the first layer is in order to feel this effect. A top layer that is thicker than four inches will likely cause you to sink into the mattress, making it hard for you to turn or even get up. A layer that is thinner than three inches is not going to feel as dreamy as you might have hoped. What you want to do is to stick to a layer somewhere between three and four inches. The next thing you want to pay attention to is the density of the mattress. Density describes just how much air is within the gel memory foam mattress that you are considering. A mattress that has a lot of air is going to feel softer and plush. a denser mattress is going to feel firmer. The weight of your mattress is going to go up considerable if you choose a dense mattress. It should also be noted that a dense mattress is going to trap more heat, which is not great news for those who want a cool night’s sleep. 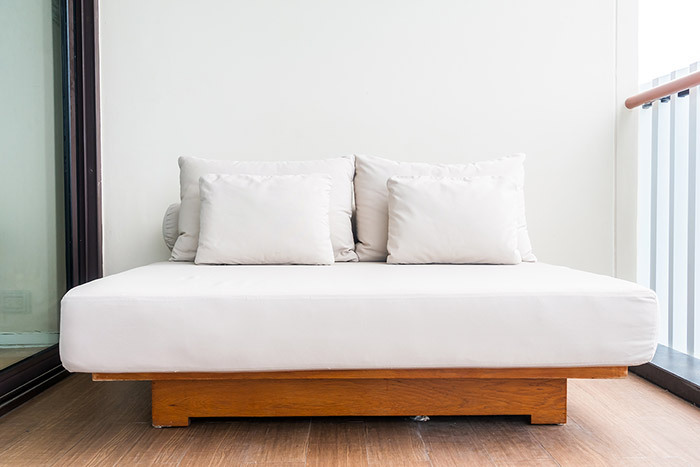 A denser mattress is going to last longer. You should remember that the most common type of mattress purchased is a four-pound mattress though some opt for a five or six-pound mattress. Hopefully, these points make it easier for you to purchase the perfect gel memory foam mattress. Just remember there is more to consider. For one, you are going to want to pay attention to the kind of pillows you purchase. Side sleepers should definitely consider a pillow to go between your legs to protect the knees as you sleep.